It’s Family Literacy Day this Friday (January 27) — a day to remind families of the importance of reading and engaging in literacy-related activities every day of the year. 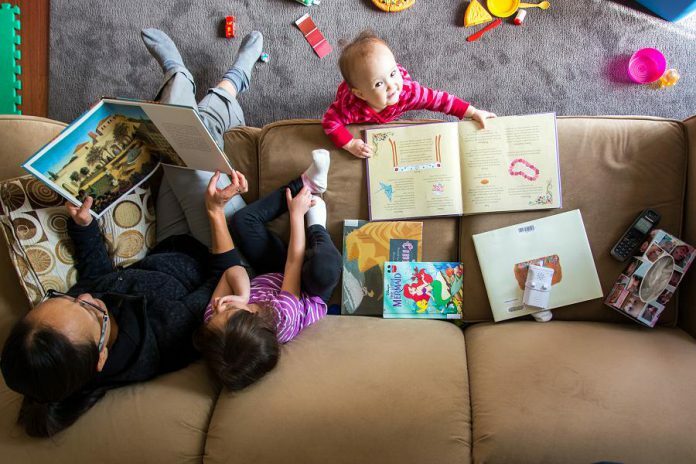 Family Literacy Day was created in 1999 by ABC Life Literacy Canada, a non-profit organization that strives to increase the literacy skills of Canadians. The Haliburton, Kawartha, Pine Ridge (HKPR) District Health Unit encourages local families to “learn at play, every day”. Parents and caregivers who talk, listen, play, and read with children help them develop strong literacy skills for life. Peterborough celebrates Family Literacy Day with an annual free event on the lower level of Peterborough Square (340 George St. N., Peterborough) from 9 a.m. until noon. Children will enjoy Jungle Cat World with real animals, where they’ll learn the names of animals, what they eat, and where they live. They’ll enjoy a demonstration from break dancer Jimmy Chapman, which will teach them about patterns and beats in the rhythm of music. There’ll also be a Reader’s Theatre, where a cast of local celebrities will read Jack and the Beanstalk, and live music by harpist Tanah Haney. On Saturday morning, you can gather information about literacy supports in the County and City of Peterborough. In the craft area, you and your child can get creative and draw, print, colour, design, and explore the activities. Working with markers, crayons, and pencils gives children an opportunity to practice writing skills and develop muscles in hands and fingers. At the book table, you can help your child choose a book to take home. When you read your book at home, it may remind your child of Family Literacy Day — and the importance of reading every day together as a family. From 10:30 am. to 1 p.m., the Ontario Early Years Centre at YMCA Northumberland (339 Elgin St. W., Cobourg) is hosting a free event to celebrate Family Literacy Day. Everyone gets free entry to the YMCA gym, where children can enjoy literacy-based games and crafts with representatives from the public library and the health unit, and win books and prizes through the Unplug and Play Challenge. At 11 a.m., Kingston-based author Rebecca Broeders will be reading and signing her newest book How to Survive a Canadian Winter. The book tells the story of a boy named Eli (inspired by the author’s nephew), who figures out how to stay warm during Canada’s frigid winters and to enjoy all the fun activities during winter. 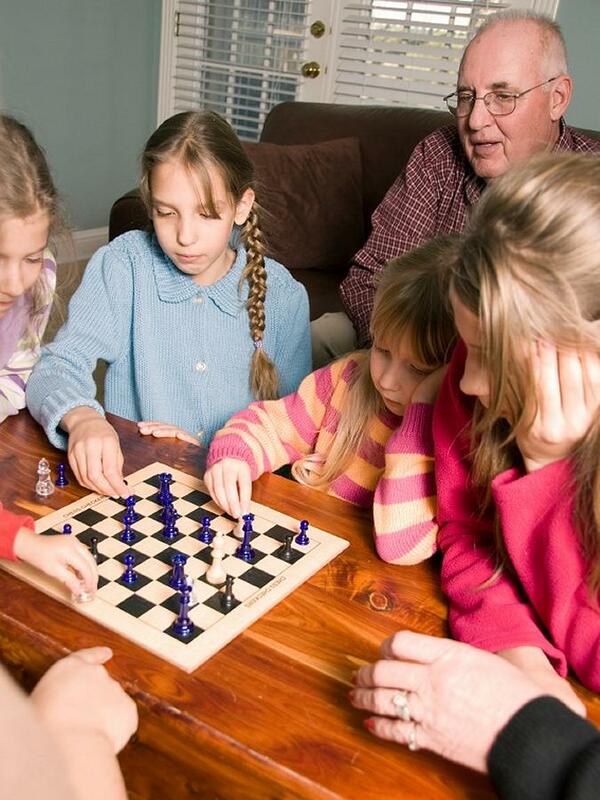 Family literacy isn’t just about reading together. It’s also about engaging together in other family learning activities such as playing board games. If you can’t make it to either of the above two events, you can still celebrate family literacy at home. Have a “grocery hunt” by taking your children with you while grocery shopping and have them search the store for all food items on the family grocery list. Play “home restaurant” by getting children to create a menu for a meal by drawing food items or using grocery store flyers. You can even get them to take food orders from the family at mealtime! Create an “animal dance” by having family members each take a turn moving like an animal while describing what they’re doing (“I hop like a bunny”, “I stomp like a dinosaur”, “I slither like a snake”). For more ideas, tips, and information about family literacy, visit www.familyliteracyday.ca and (for preschool kids) www.kidtalk.on.ca.